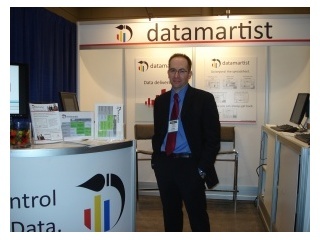 The Datamartist tool was created by nModal Solutions Inc., a Canadian company, founded by James Standen. James realized that in the early stages of a project, or when one-time analysis needed to be done, the expensive and super-powerful enterprise tools were clumsy and too bloated for simple, get-your-hands-on-the-data tasks. He saw that data profiling was just not being done due to inflexible tools, or a lack of tools resulting in tedious hard coding of sql queries. He was frustrated by what it cost for his department to provide data analysis, and realized that the existing tools and methodologies for data marts did not always provide the best solution. Convinced that with the right tool, and a new approach to business intelligence service an enterprise could both save huge amounts of money, and provide better quality data, he founded nModal, and set out to build that tool. The result is Datamartist. One of the fantastic things about software is its very very easy to give away. If you are doing good, contact us. We have a policy of donating software to charities that meet our criteria to let them analyse their data and would love to help your organization. We are happy to discuss proofs of concepts at no cost to potential datamartist customers. Depending on the scope and time required, we can often provide some assistance, or put together a proposal for consulting services to help you solve your data analysis problem.